No one expects you to know Hungarian before coming on the program: learning a language takes time. (BUT IT IS POSSIBLE! – check this out!) What’s most important is that you try to get accustomed to the language and some of the grammar, and maybe learn a few words, how to introduce yourself, etc. 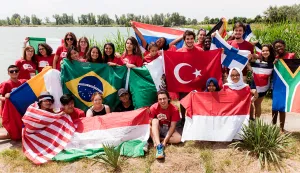 If you come to Hungary with an open mind while you are here, your AFS year could very well be the best year of your life! We look forward to getting to know you and be part of your AFS experience! Remember: You are never alone. We are always here for you. See you soon in Hungary. / Találkozunk hamarosan!